I HATE THIS WEBCAM! i bought it and i tried it out, didn't work. Installing the software was easy, when the program starts running, then it's really bad. It freezes up my whole computer. I was only able to get about 30 seconds of activity from it then it froze up.It's absolutely useless. Don't buy this, it's a waste of your money. 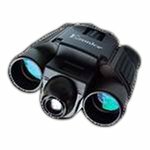 I bought the webcam, tempted by my GoldBox offer. I read all three reviews and figured 2 out of 3 wasn't bad. I wonder whether I'd be better off without a webcam than with one that works when it feels like it. It comes with little to no instructions and when you click Help on one of Ezonics' programs, a little pop up screen comes up telling you that it's Version 1.something or the other. There is no help feature if I'm having trouble and I find troubleshooting difficult. It is easy to install, but that's the only EZ part of Ezonics. I got this for [a little money]. Hold your dinero and save up for a better camera, that may be more expensive but much more user friendly. Also it has a bad habit of freezing my computer when loading. Often, when "EZ" is part of a product's moniker, your internal cheese-meter starts sending out a warning beep. But the Ezonics EZCam USB deserves this abbreviation--it is so simple to set up and use that even the most technophobic can operate it. Since the drivers aren't part of Windows 95 or 98, the software needs to be installed first, but this only takes a few seconds. After rebooting, simply plug the camera into a USB port with the connecting cable and Windows 98 picks it up and installs the driver. The EZCam USB ships with a monstrous software bundle, including four Live Express programs--Video Panel, Send Mail, Card Maker, and Album. The package also features three video programs from Ulead--iPhoto Express, iPhoto Impact Album, and iPhoto Express Explorer--as well as Microsoft's Net Meeting for online videoconferencing with anyone else who has the free software and a camera. The Live Express Video Panel works as smoothly as a VCR--press a button to start recording and press another to pause or stop recording. Once you've recorded a snippet of video, you can save it, send it via e-mail (recipients don't need Live Express; the videos will play on any PC), or insert it into an album. The EZCam also lets you take snapshots with one mouse click. That's not to say the EZCam is perfect. Pictures taken with the EZCam's 100,000-pixel image sensor aren't as sharp as photos taken with a digital camera. And we never got very close to the maximum 30 frames per second that EZCam offers. On the other hand, we were able to run the camera on a 166 MHz Pentium machine quite smoothly and found it very fun and easy to handle. Not bad for a sub-$100 camera! I can tell you that if you're on a budget, this is THE camera to buy! I enjoy sending short video mails to friends and family with it. No mishaps in sight. As one reviewer has mentioned, there is a slight problem when you get the "white-screen", but that hasn't been much of a problem for me since I have USB ports on the front. All I do is reach over and re-hook it in. Of course, this camera is most likely only meant for videomails and videoconferencing, since the quality isn't quite superb. You're probably not going to want to make many short films with it. I got a $30 rebate with mine, which is absolutely great because that makes this a sub-$50 camera. This is a must-have for anyone wanting a fair-quailty camera at an unbeatable price. I gave it 4 out of 5 stars. 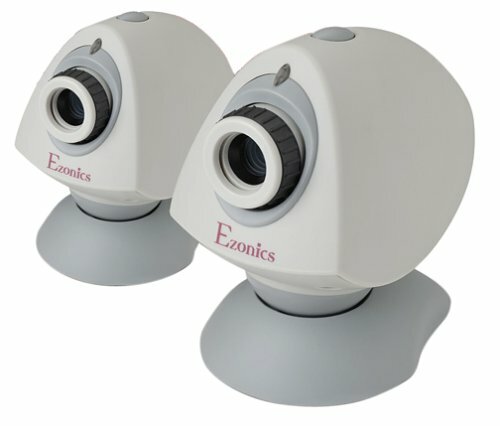 I was gifted with Ezonics pc camera with registration no 5H-EX54-3497 and password SNOW-BANJO and I found the camera is not giving clear video pictures inspite of doing settings as per the guideline given in help menu.The frames are not continuos and i could not find in the web whom to contact with ezonics.com. I feel that these chinese goods are not having service facility or help through web. As long as you have win 98, the camera works great. I tried to load several different drivers I thought would be compatible but had no luck!. Ezonics should make some compensation or upgrade the drivers for Win ME users! If you're sold on the idea of a webcam but can't financially justify the expense of a top of the line model, Ezonics has the answer with its Ezonics Mini Cam webcam. 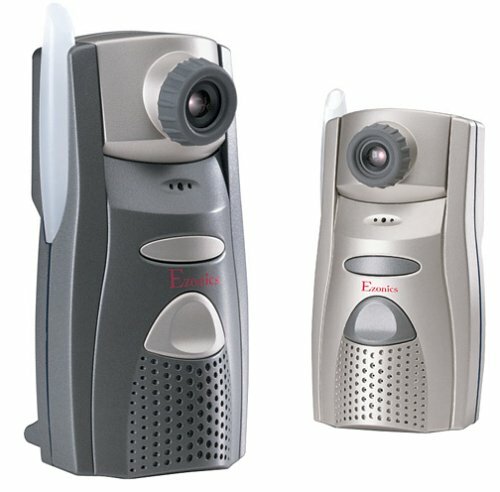 Though it doesn't sport a truly advanced feature set, the Ezonics Mini Cam does deliver the webcam experience for a fraction of the price of some competing models. What can you do with a webcam? You can communicate visually with your friends and associates. You can set up a security monitoring system. Or you can just have fun with it, broadcasting images of your coffee pot or your dog to your webpage or over the Internet. The virtual possibilities are virtually endless! Clamping to the top of your monitor or any other convenient surface, the Ezonics Mini Cam features 24-bit color, an adequately clean 352 by 288 resolution, and a maximum 30 frames per second shutter speed. It automatically adjusts exposure and white balance, and allows you to focus manually or take single snapshots. And its bright LED will always keep you alerted to its current operational state. Had trouble loading software, which bugged my system. I had to do a system restore to get back to normal. Computer never could see the Binocam. Never could access the pictures from the camera. The binoculars weren't even worth paying for. I have heard people talked about the bad support and obsolete drivers about this camera. But for the image quality, this is the best one I have seen for webcams. This camera has a real CCD sensor other than cheap CMOS compared with other webcams. For the drivers, it could be downloaded from internet, working fine both with win2k and XP. If you have Win2K, or plan on installing it, stay away from the Ezonics products. I have heard horror stories about this camera. I got it running under windows 2000 & windows 98se both in one try. MAKE SURE you have it unplugged when you run the setup. The image quality is good, remember when you buy a Web Cam don't expect photo quality. This is about the best pics I've seen from a cam. It even produces nice images under low light conditions. I also had a Phillips vesta? something like that. Well this is leaps and bounds better. I recommend this camera to anyone who is looking for a easy to use decent camera. This is a great camera for the price.I have a Quickcam VC for my desktop and I brought this for my laptop because it has a great laptop clip that hold it securely in place. The picture quality is great even at 640x480. Only problem is it require a lot of light unlike my VC which adjust to low light level very well. The driver that came with the camera work fine, but I did try to load a new driver from the website to my surprise it did not work. So I tried another driver and that did not work either, so I just reinstalled my original driver. Overall it a decent camera with a better picture quality then my VC but I can't forget that my Quickcam VC only cause me a 1/3 of the price. Plug and play? Plug and Pray! I have never had so much trouble with any other USB product. The drivers that came with the camera did not install it properly. Technical support instructed me to download and use the new driver. The new driver did not recognize the camera either. I was then told that the only way to get the camera to work was to REINSTALL WINDOWS 98. Out of sheer frustration and desperation I did so. The camera began to function but the sound quality was terrible. I replaced the mic with a cheapo from Radio Shack and sound improved drastically. I immediately boxed the camera up and returned it to the store from which I purchased it. I then purchased a 3COM home connect camera.